Welcome to another edition of the side hustle report. To quickly recap, each month, I document exactly what I earned doing various side hustles using sharing economy/gig economy apps. I’m still always surprised at what I manage to pull in each month, especially since I don’t feel like I’m spending a ton of time doing these side gigs. Remember, I have a full-time day job and between that and running this blog, I don’t have a ton of spare time on my hands. One of the reasons I’m able to do these type of side hustles is because they don’t take up a ton of my time. Instead, they basically help me to monetize the things I’m already doing. And the money you earn can be significant. I’m still shocked that I made over $14,000 last year from these sharing economy apps while spending essentially nothing in expenses and while holding down a full-time job. An extra $500 or $1,000 per month is a big deal, especially if you can throw that money into a self-employed retirement plan like a Solo 401k. Don’t forget that every dollar you earn on the side is a dollar that you can save! If you haven’t already, be sure to check out my post on How I Made $14k Through The Sharing Economy In 2016. It’s got a ton of great stuff in there that I think you’ll find interesting. I calculate side hustle income based on the payout date. Accordingly, if I perform a side hustle in February, but get paid for it in March, I count March as the date the income was earned. Not too shabby at all and surprisingly higher than I expected. The big increase this month definitely came from selling trash finds, where I sold a record $240 worth of stuff for the month! This is money I made from stuff that people literally threw away. Pretty crazy to think that this stuff is just sitting out there. You’ll also notice a new edition to the side hustle report with an app called WeGoLook. I’ve actually been using this app for about a year now, but the income from it has been extremely sporadic to the point that I basically forgot to track it. My plan for the remainder of the year is to do a better job tracking the income I get from these picture taking apps. Airbnb continues to perform about as expected. The $668 represents 17 nights booked. Note that while 17 nights might seem like a lot, a “night” in Airbnb terms represents the time from check-in through check-out. In other words, a night doesn’t actually represent 24 hours. Most people tend to check-in during the evening and then leave early in the morning, which means in many cases, a guest might only be in my house just to sleep. Not to mention that most people staying in my house aren’t hanging out in my house during the day anyway. It’s a totally different mindset when you come into someone’s house as a guest versus as a roommate. In terms of specifics, we hosted a total of four guests in March. As usual, all of our guests were in town for something related to the University. That’s one of the nice things about living in our neighborhood. We’ve really been able to niche down to a certain segment of Airbnb travelers. 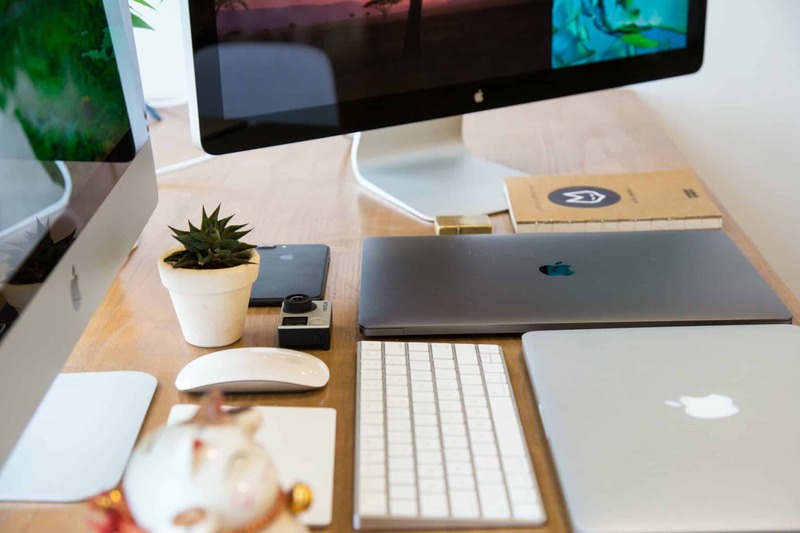 Most people assume that Airbnb is just for vacationers, but in fact, there’s a huge segment of people that use Airbnb for business related reasons. Because of our location, our Airbnb basically snags all of these business travelers and doesn’t draw many vacationers, which is a good thing in my book. Here’s why I prefer business travelers. If you think about, from a host perspective, taking in a vacationer carries more risk. Most people only get a few weeks per year to go on vacation. As a result, every little thing matters a ton more and booking the perfect place becomes much more important. I noticed this as I was booking our Airbnb places for our honeymoon in Puerto Rico later this month. Not only is it our honeymoon, it’s also one of the few times off we get per year. Our expectations, as a result, are really high. Everything needs to be perfect. Students and people going to conferences, on the other hand, are much more chill. All they really need is a decent bed and a quiet place to sleep. It’s probably the main reason I’ve been able to keep my Superhost status. Speaking of Superhost status, I’m about to hit my 1 year of being a Superhost, which means I get a $100 Airbnb credit that I can use on my next Airbnb stay. We’ll probably use it for a weekend trip or something this year. March ended up being a strong month for the dog sitting business. We watched a total of four pups this month, all of whom were great. Of the four, one was a repeat guest. The repeats are always good because you know exactly what you’re getting into. We had a full house for one weekend this month. Financial Pup is on the bottom left. Our guest pup is on the bottom right. The black dog is my sister-in-law’s dog. 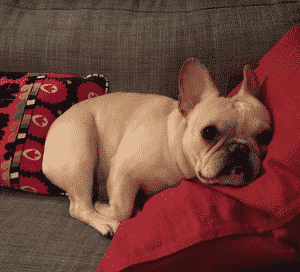 This Frenchie was probably the cutest and best pup we’ve ever watched. 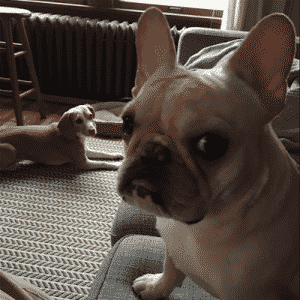 We’ve had bad experiences with Frenchies in the past. For some reason, a lot of them are mean to Financial Pup. Plus, Financial Pup doesn’t quite understand dogs with smushed faces. I think it’s the snorting. She doesn’t understand that they’re not snorting at her, but that they’re just snorting because they need to breath. This pup though was perfect. Financial Pup in the background. Neither pup appears amused. In terms of the platform breakdown, once again, Rover was basically non-existent for us. We had one repeat booking from Rover – the only booking we’ve received from Rover this year. The remainder were from DogVacay. It seems like my listing is basically unfindable on Rover now. Even when I do a search right in my zip code, Rover will direct users to hosts located way out in the suburbs. I’m not sure why they do that, but it’s really impacting my Rover bookings. Hence, why it’s so important to make sure you’re using multiple platforms when doing any of these sharing economy gigs. Luckily for me, DogVacay has remained steady and is helping me to get a solid number of bookings each month. Hopefully, it continues. One thing I need to start doing is giving DogVacay business cards to people who I meet on the street while I’m walking my pup. I’ve never done that before just because I don’t want to act like I’m selling something, but there seem to be a lot of dog owners who have no idea that these dog boarding platforms exist. Finally, in big news, Rover recently purchased DogVacay, making Rover the sole platform in this space. For now, both platforms have said that they’ll remain separate websites, even though they’ll both be owned by Rover. I’m a little nervous about one company owning the entire market, but I guess time will tell. If you’re a dog owner, I think that Rover and DogVacay are both great ways to make a little extra income without much work. Watching one dog isn’t all that different from watching two dogs. You can basically use these platforms to help monetize your dog care tasks. Instead of costing you money, your dog can actually help you make money! Sign up to be a sitter on Rover here. 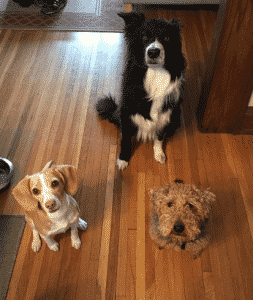 Don’t forget to sign up to be a sitter on DogVacay as well. The delivery game remains steady but still lower than usual just due to lack of time. Unlike Airbnb or DogVacay, doing deliveries requires me to trade time for money in a sense. Unfortunately, I’ve been pretty busy lately with wedding planning, work, and the blog, leaving me with very limited free time to do deliveries. Still, bringing in a couple of bucks while getting exercise on my bike isn’t a bad way to spend some of my time. We all need to be active, even when we’re busy. DoorDash continues to be the platform I want to do more deliveries on and it really seems like a legit money maker. The key differentiator with it is the tipping system. 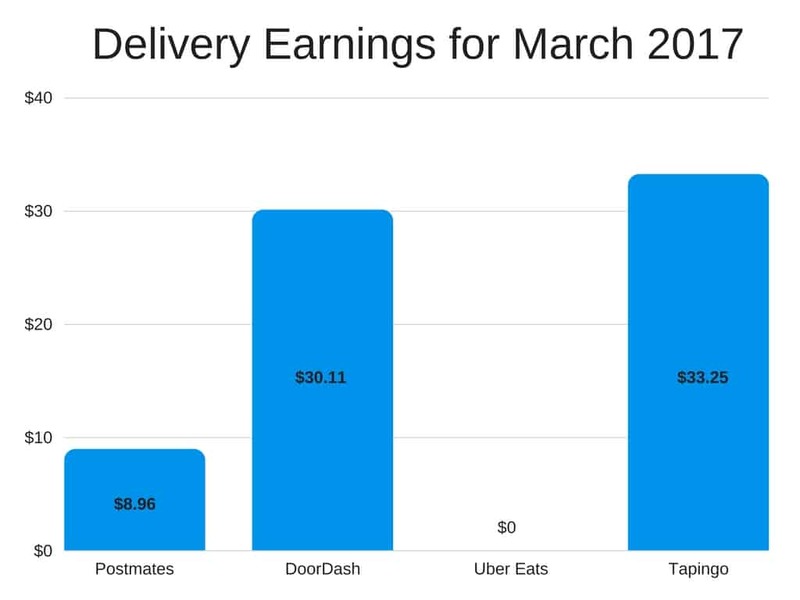 Unlike other delivery apps where tipping is done after the delivery is completed, DoorDash asks customers to tip before they receive their order. Only the biggest jerks are going to stiff someone on a tip before they’ve even received their food. Not to mention, I’m holding your food. Is it worth taking the risk of not tipping..? 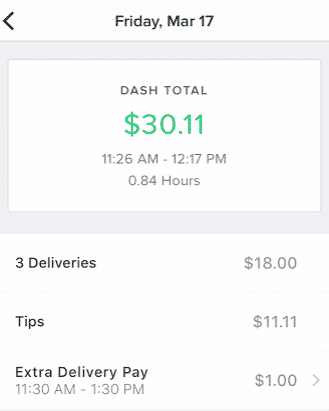 You can see just how much you can make with DoorDash in the below screenshot. I had my bachelor party over the St. Patrick’s Day weekend and ended up taking that Friday off. While waiting for folks to get into town, I decided to make a few quick deliveries over the lunch hour, resulting in a pay of $30 for under one hour of work. $30 for under 1 hour of work? Not too shabby for a lowly delivery person. You’ll also notice a new app I’ve started with called Tapingo. I signed up for it last year after seeing a Craigslist ad, but it never ended up launching. Around the beginning of March, I got a call from someone at Tapingo asking if I was still interested. Of course, since I love doing deliveries, I said I was. They had me signed up later that week. The pay for Tapingo is really low, but I’ve actually found myself doing a ton of Tapingo orders just because of how easy they are to do. Tapingo only caters to college kids, which means that every delivery is clustered really close together. Most are only going a few blocks. A lot of the time, I’ll just grab an order and do a delivery while walking my dog. The other nice thing about Tapingo is how orders are assigned. Every order goes into a pool and you can just pick the orders that you want to do. All I need to do is look to see if there are any orders that fit where I want to go and then I’ll just grab them and do the delivery. I’ll definitely be discussing some other interesting things I’ve been able to do with Tapingo in a future post. For now, it’s enough to know that I’ve added yet another delivery platform into my repertoire. 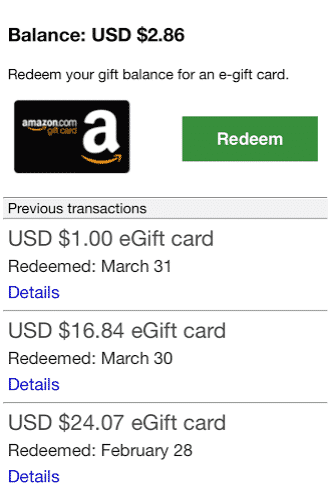 Postmates – Unknown referral bonus. Typically requires completing 30 deliveries within 30 days to qualify for a bonus. Ms. FP and I made $500 once by me referring her. DoorDash – Unknown referral bonus. Typically requires doing 50 deliveries within 30 days, which makes it hard to earn if you’re just doing this as a side hustle. 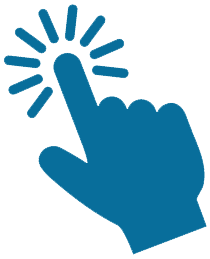 Uber Eats – Very easy bonus to get. All you have to do is make 10 deliveries to get a $100 bonus on top of your delivery earnings. I think it’s worth signing up, doing the ten deliveries, and snagging the easy $100 bonus. Wow! I really crushed it on the trash game this month. A lot of this was finally getting around to selling stuff that I had in my garage from last summer, but we also found some great stuff during the month. We considered keeping it, but it didn’t quite fit with our aesthetic. I ended up listing it on Craigslist for $50 and it sold within a few days. $50 – found in the trash! 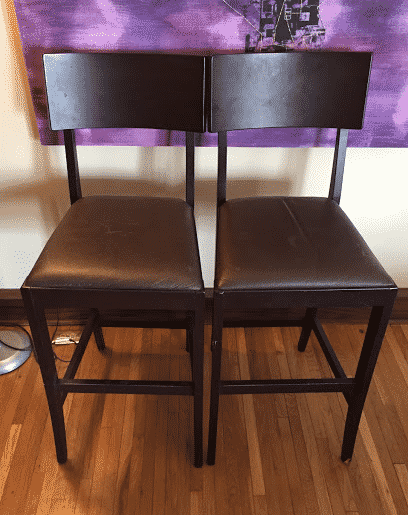 Other big money finds included these two bar stools we found last summer. I finally got around to listing them in March and the pair sold for $40. Bar stools are surprisingly expensive things, so if you ever see bar stools, you definitely want to grab them. 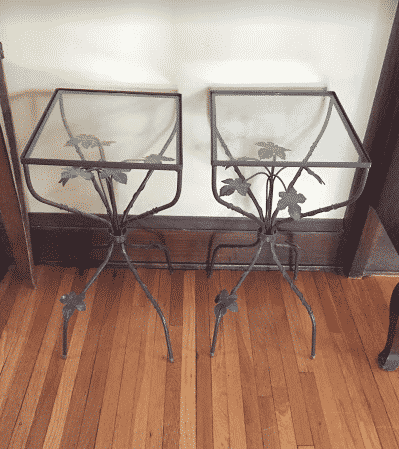 These two end tables also sold for $40. Again, nothing special. They look like junk, but you’ve got to remember that there are a lot of people out there looking for certain types of things. I ended up listing each magazine for between $10 and $20 on eBay (this is what the other listings had them at). Three of them sold within a few weeks. The nice thing with listing something up on eBay is that you can leave it up there forever for free. It’s basically just a set it and forget it process. I’ve still got a goal of making $1,000 per year on trash finds, and I think I can reach that goal this year. Already up to $350 of trash sold for 2017. Jobspotter continues to bring in a solid amount of side income for essentially just walking around normally. I promise you that anyone who tells you that they can’t find hiring signs just isn’t looking. There are so many out there! If you’re the type of person who drives everywhere, sure, you’re probably not going to see as many. But if you walk or bike, I guarantee you’ll start to notice hiring signs if you’re keeping an eye out. A little over 17 bucks just from noticing hiring signs? It’s super easy and sort of fun. If you’re interested, I’ve written a more in-depth post about Jobspotter in a previous post. Check it out to learn more about how it works. I haven’t talked a lot about WeGoLook just because of how sporadic the income is from it, but it actually pays a pretty decent amount, and thus, is worth talking about. Essentially, it’s an app where you take pictures of things for insurance purposes. In the past, I’ve taken pictures of broken fences, damaged vehicles, and intersections where accidents occurred. It only takes about 15 minutes to take all of the pictures, but usually, they require you to set up a time with the property owner. As a result, I only really do it if it’s at a place really close to me. In March, I got a request for a vehicle check that was only a few blocks from my house. I ended up setting up a time with the vehicle owner on a Saturday morning, biked over there, and took pictures of the car as directed by the app. Pretty simple and an easy $20. It’s not a regular income by any means, but it’s easy enough to do when the opportunity is there. And that concludes this month’s side hustle report. March was a higher earning month than I expected. $1,200 in extra income isn’t a joke, especially since it’s something that pretty much anyone can do. It’s important to note that nothing I’m doing requires any sort of special skill. 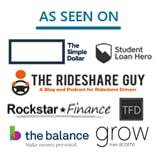 You already saw how I made over $14,000 last year from these sharing economy/gig economy apps. That’s a pretty big raise you can give yourself. Be sure to check out my side hustle report page if you’re interested in seeing what I’ve made in other months. 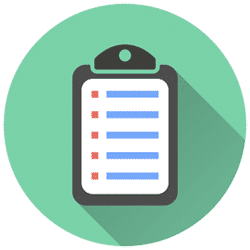 And to make it easier, here are some links to my recent side hustle reports right below! Enjoy! Great job on the sales finds! I’m always impressed to see that you find and end up selling! Thanks for the great ideas here. Haven’t heard of many of these, especially JobSpotter, but it is a great idea. I’ll look into it more. I’m bummed the dog sitting venture isn’t in Cleveland, otherwise I would definitely do it. Great idea using Uber for business travelers. I would imagine those are the best visitors, they aren’t coming home after a long night at the bars. They are there for business and are occupied all day long. Love the side hustles. Now you are motivating me here! Thanks and I hope there’s some info here to see how this can be done! And it can be fun too! I think the idea of Airbnb as being for vacationers only is definitely not understood. I bet for the vast majority of people who are opening up just a guest room in their house, most people aren’t vacationers. Even the original Airbnb founders – their first guests were in town for a big conference. When you’re hosting a person like that, it becomes less of a “hospitality” business like a hotel would be, and really becomes much more passive in a way. Listened to you on the Rental Income podcast recently, great episode! Awesome! Thanks a lot! Glad you enjoyed it. I had a ton of fun talking to Dan on that show. He’s a cool guy. I love reading these, as it feels so similar to what I am doing – I do dog boarding too, and I rent a room out. You’re doing so well! It’s the best when you do both! It’s like you’re doubling up on the income. And that pup was so cute. I wanted to steal her! Congrats on your side hustle income. I sell things on eBay, but I’ve never thought to look through other people’s trash. You have just given me an idea to make more side hustle money. I mean, the thing is, it’s not even like I’m digging in people’s trash. I’m just grabbing stuff that I see on the side of the road. It’s just all over the place if you’re looking! Like you found a kayak!? Or you bought one off Craiglist? I’m gonna be on vacation for all of July, so I’m going to give Airbnb a try. Would be nice because I think at the current rate I can get $4500-$6000 for the month (that is if my place is fully booked for the month). That would be nuts. Seems like it would basically pay for your vacation if you did that. Let me know how that goes. Definitely, an interesting experiment to try out. I’ve just started doing side hustle income reports, so this is crazy inspiring to read. Our side hustles overlap, a little. That’s weird that you don’t get any hits from Rover. My doggy income from the past two months has only been from Rover and nothing from DogVacay. It might be because I live in a smaller city, but I’m moving back to the ‘big’ city in a week, so we’ll see if it picks up. >Most people assume that Airbnb is just for vacationers, but in fact, there’s a huge segment of people that use Airbnb for business related reasons. I definitely want to rent out my spare room. The idea of it has made me nervous because I live alone and, you know, strangers. But, that’s so interesting that it’s been mostly university/business bookings for you. I live near two major colleges, so maybe that’s what I’ll find? All these delivery apps… not in my city, yet. Oh, well. I would absolutely love to be a bike messenger, especially since I work from home most of the time, and it would be a good way just to get out of the house and fight off the stir-craziness. Thanks, Slyvia! I’m glad you enjoyed them! Yeah, I don’t know why Rover is like that. In 2015, I got about 66% of my dogsitting income from Rover. Then in 2016 it was about 33% of my dogsitting income. This year, I doubt it’ll be more than 5% of my dogsitting income. I’m completely non-existent on the platform now. The Airbnb thing is definitely something that I think is worth trying out at least once just to see what it’s like. 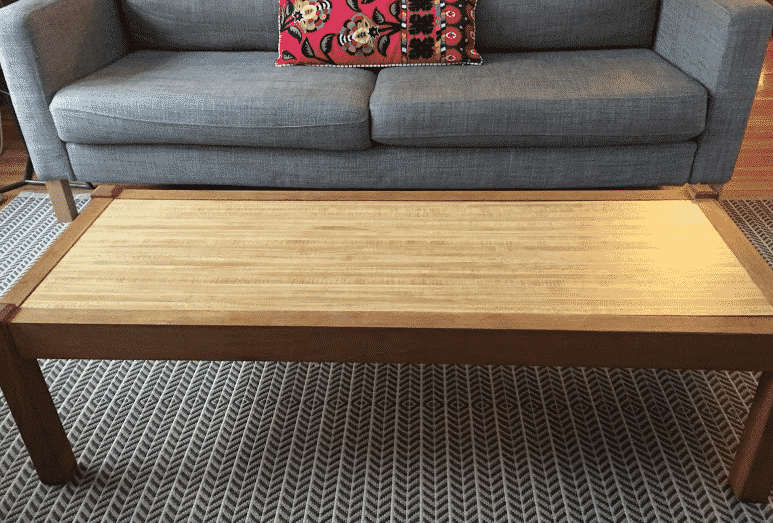 What you should do is look at the Airbnb listings around you. Find one that sort of looks like your place and check the reviews. You can hopefully get a sense of who the people staying in your neighborhood will be from looking at the reviews. If it helps, I can say that every good Airbnb host I talk to loves hosting. You’ll definitely get some bad guests from time to time (not bad like murdering you, but just annoying people you don’t like), but the good guests will definitely outnumber the bad and make it more fun. That’s why I love those delivery apps so much. If I’m bored, I just go and make a delivery and get some exercise while doing it. I’m nuts, I know, but I think its a ton of fun.